Alex Granger - In a world where rapid change is inevitable and disrupting businesses, and the challenges of life are constantly causing individuals distress and fear, here is the voice of reason that transcends change and chaos, and helps businesses and individuals achieve exceptional growth. Alex Granger is Founder and CEO of The Possibility of YOU, a specialist consulting, training, and development firm. The consummate professional speaker, Alex Granger has delivered keynote presentations to more than 15000 people in 2014, inspiring individuals to accomplish their dreams and goals, while assisting businesses to charter a new and more profitable course. As a key resource for conferences, strategic sessions, development training, and business interventions, he has the ability to shift thinking, present new insights, and diffuse complexity. 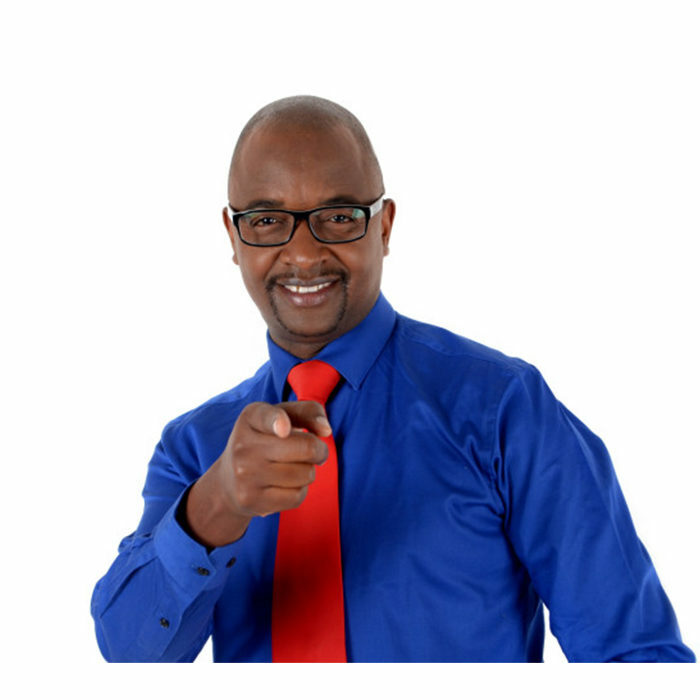 He holds a Leadership qualification from the Gordon’s Institute of Business Science, with a distinction in leadership, and he is also a certified NLP practitioner. Alex has worked in executive and senior leadership positions for blue chip companies such as Bidvest, Imperial, and Tsogo Sun. Alex Granger is also the author of “FIND KEEP GROW: The Radical Art of Sales”. Alex Granger has had the privilege of doing work for businesses in the financial services and travel industries, such as Old Mutual, Imperial, Standard Bank, First National Bank, Sanlam, Stanlib, Total SA, Sure Travel, Harvey World Travel, CWT, Club Travel, and many more. He has also shared influential platforms with speakers such as Robin Sharma, James Caan, Dr. John Demartini, Bob Proctor, Andy Harrington, Douglas Kruger, Billy Selekane, and Mac Attram. He is a regular speaker at the Entrepreneur’s Convention, Sales Summit, and Leadership Indaba, and has been program director of choice for the ASATA conference, SAACI Congress, and APSO conference. Key take home value: Tools and techniques on how to transform leaders, culture, and employees from average productivity to become a high performance business. Businesses in the modern era face daunting challenges in a rapidly changing world. One of these key challenges is being sustainable and profitable, which has led many leaders to fixate on delivering shareholder value rather than customer value. In this amazing presentation, Alex shares practical insights and methods on how businesses can turn customers into profits.Yes, profits! The key focus is on how to build customer loyalty through individual brand strength so that customers come back to purchase more products and services over and over again. This presentation will introduce exciting concepts such as outside-in innovation, customer capitalism,gymnastic impossibility, and radical customer delight Designed for businesses and their people, this presentation clearly illustrates the power of focus on customers, branding, marketing, and how, when everyone and everything in the business commits to providing value sooner to customers, profitability and sustainability follow. Key take home value: New insights on how to delight your customers, build loyalty, and increase your bottom line. How do you ensure that your business survives? How do you create a winning attitude, and how do you not only think like a business champion, but also DO what champions do – WIN? In this presentation, Alex shares 7 practical steps to develop mental strength for championship thinking and doing to ensure that your business remains sustainable. You will learn what NOT to do in business and the imperatives for success. The focus is in the magic that creates those moments of truth for customers, staff, and stakeholders.But the biggest challenge is in translating how you THINK into what you DO. How to implement those strategies, to be decisive, to exert your expert position. Key take home value: Inspired business individuals who have more confidence, mental strength, and a winning attitude. How does one achieve greatness? What is greatness?Is it success perhaps? Wealth?Or is it the impact of your selflessness? The significance of giving? Greatness is the ability to live a life that impacts others in an inspirational way. It is within you! Key take home value: Delegates leave highly inspired, clear about their life’s worth, purpose, and future, with a focussed action plan to help them achieve true fulfilment. Many will agree that leadership is a defining aspect for business success. Consider the global politi- cal landscape for a moment, whether it be the USA and the contrasts between the Democrats and the Republicans, or the strong eastern leadership culture, or the South African political climate and its dire need for decisive leadership. It is clear that leadership drives success. Key take home value: A new perspective on what it means to lead with purpose, how to influence those you lead, and how to get the results you want! Key take home value: A practical understanding of how to transform your team and make them effective, productive, and committed. Also, a clearer understanding of how to participate in the team.